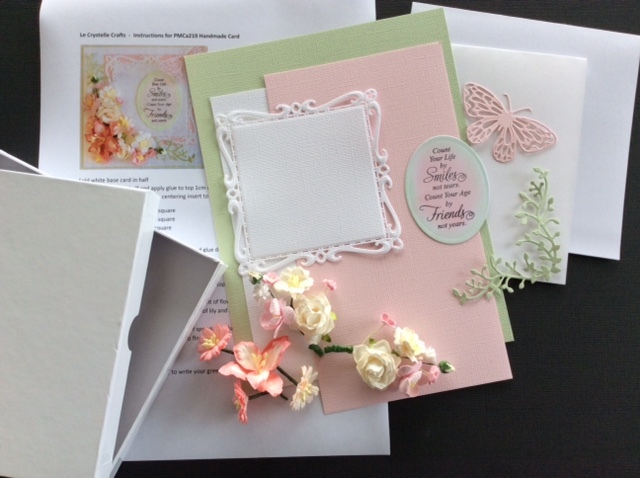 NEW - Beautiful Card Kits - Ready for you to assemble yourself. we do advise using very strong white liquid craft glue to adhere your flower sprays to your card. however we will contact you first to ask if this will be ok.
24 hour dispatch time out to a few days before it leaves our warehouse. Enjoy our exclusive variation on your card with our dot menu for you to perhaps want the card but need to add a different sentiment for a custom event. Please choose from the sentiments listed and note depending on the title you chose it may vary the look of your card slightly...example: a "Happy birthday" card sentiment may look slightly different to the sentiment for say a "thinking of you " card.